Sushi Rolls: Ingredients wrapped in Sushi Rice and Seaweed. 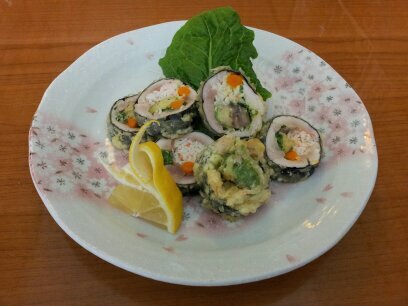 A simple roll filled with imitation crab, cucumber, and avocados. Our house special Spicy Tuna wrapped in a roll. 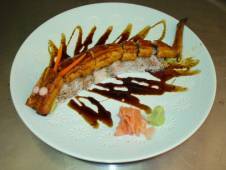 Tempura Shrimp is added to our California Roll and topped with fried Tempura Batter and Teriyaki Sauce. A very tasty dish. Grilled Eel wrapped with avocado, imitation crab, and cucumbers. 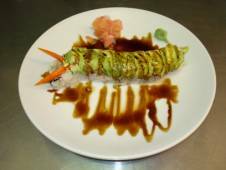 The roll is topped with avocados and Teriyaki sauce. Fresh Salmon wrapped with Cream Cheese. 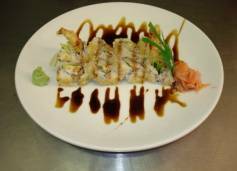 Our California Roll topped with Grilled Eel and Teriyaki Sauce. 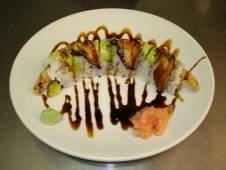 Our California Roll with Tempura Shrimp topped with Grilled Eel, Avocados, and Teriyaki Sauce. 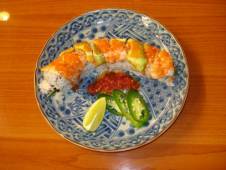 Our California Roll is topped with Shrimp, Avocado, and Spicy sauce. A popular dish for those who like to feel a kick. Fresh Cilantro wrapped together with salmon and cucumbers. The fresh cilantro adds an accent to the savory flavor of the salmon. 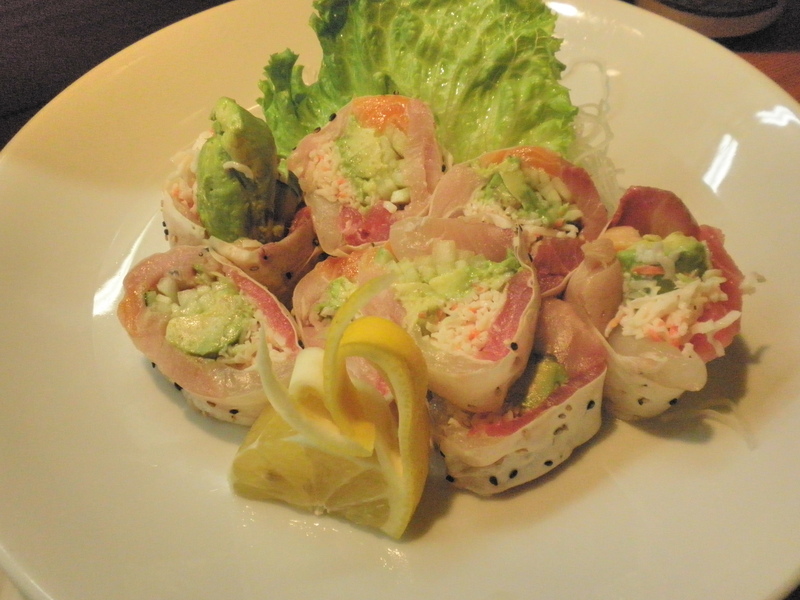 Fried soft shell crab is rolled with avocado, cucumber, and imitation crab. You can eat this with delicious sweet sauce. 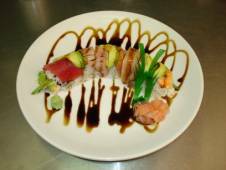 California Roll topped with various fresh sashimi (Shrimp, Salmon, Tuna, Albacore) and avocado. 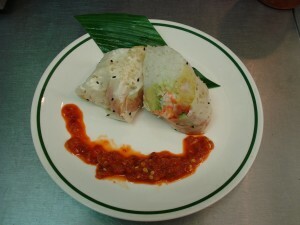 Sushi Anza Special: Tempura Shrimp, Spicy Tuna, Avocado, Imitation Crab, and Cucumber all wrapped in soy paper. Served with House Special Hot Sauce. Rice, Avocados, Cilantro, and Onion served on Fried Tortilla Shells. Topped with tapatio and ranch. Very savory and one of our most popular dishes.